The average indebted household in America owes a balance of $15,191. Often, people that find themselves in a cycle of high interest and rising debt are unable to get themselves out of it. Money Management International (MMI) is a nonprofit organization dedicated to ending the cycle by working with consumers and lenders to create a fixed repayment plan. 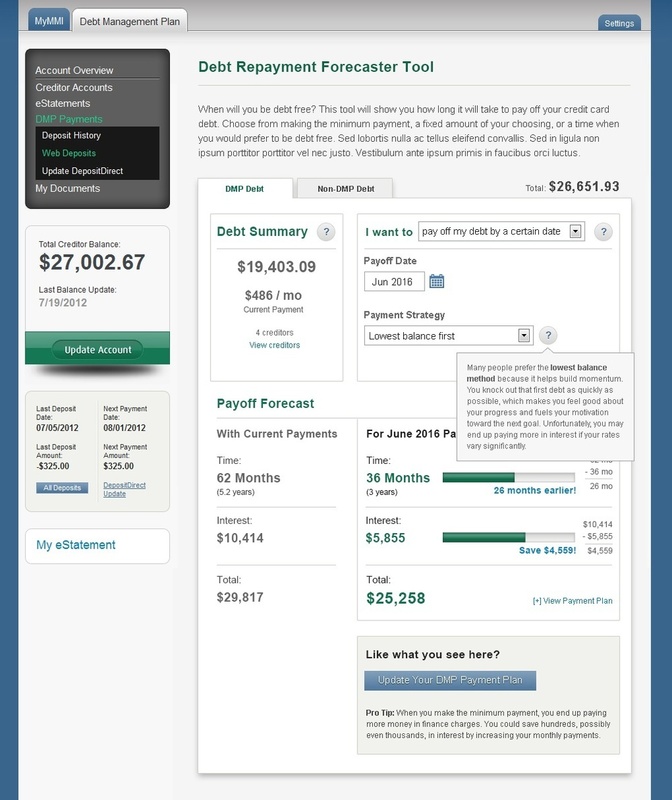 Creating interfaces for MMI's debt calculator requires some empathy. Many site visitors are ashamed of their situation and need a friendly, easy wizard to help guide them through the process without harsh messages or intimidating graphics.